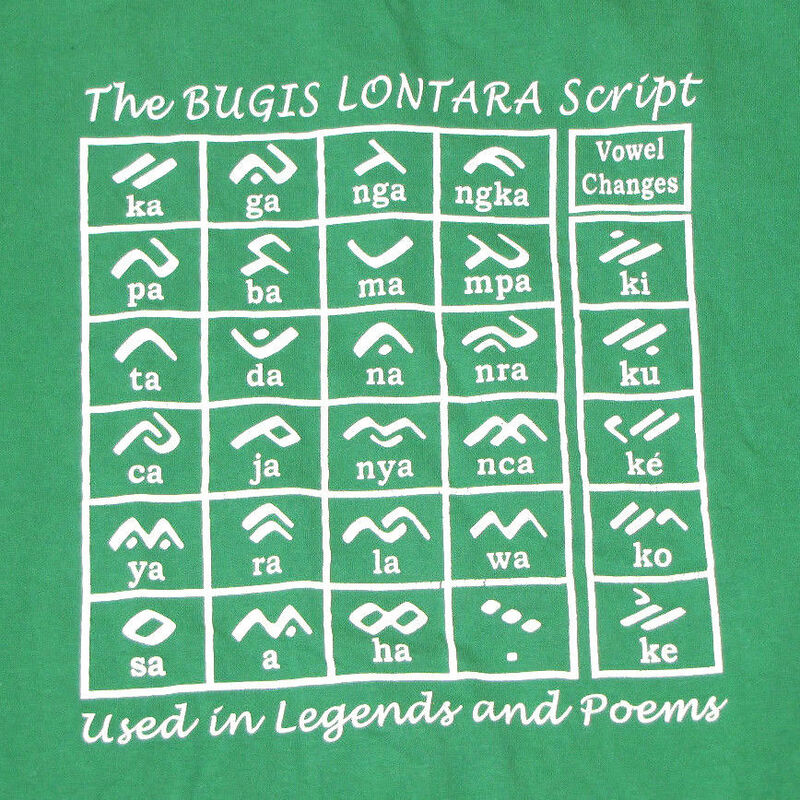 The Bugis or Buginese people live on the Indonesian islands of Sulawesi, Kalimantan and Sumatra, where the Lontara script is still used to a very limited extent to write the Bugis language, the Makassarese language and the Mandar language. It’s yet another descendant of Brahmi, the script that developed in India more than 2,000 years ago and flooded through southern Asia, washing up even on these distant shores. 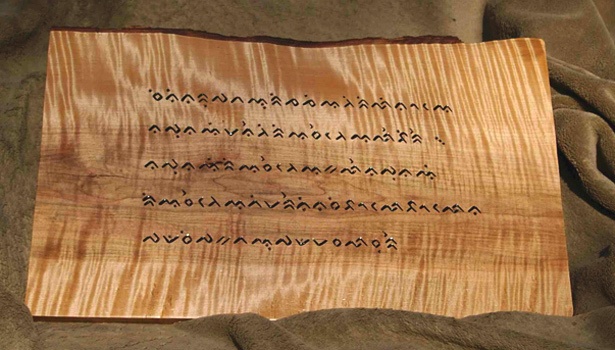 The Lontara script itself was subsequently introduced to the nearby islands of Sumbawa and Flores, where it was adapted to the local languages and referred to as Satera Jontal (“palm-leaf writing”) and Lota Ende, respectively. The Bugis people themselves are in no danger: between three and four million of them live in Indonesia, mainly fishing and farming rice on the island of Sulawesi. It’s the script that is another victim of colonization, this time by the Dutch. 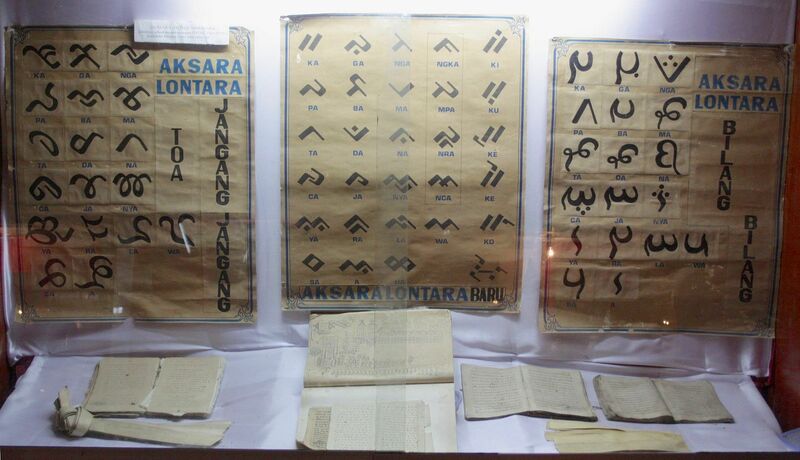 This remarkable writing system is also known as lontara, from the Malay word lontar, meaning palmyra palm, whose leaves were used as writing material. The Dutch, who colonized much of what is now Indonesia, introduced the Latin alphabet, which has now almost completely replaced all the traditional scripts in the islands now called Indonesia. Historically, Lontara was used to write formal documents such as contracts, trade laws, treaties, maps, and journals, both in Western book form and in the traditional palm-leaf manuscript, in which a long, thin strip of dried lontar is rolled to a wooden axis in similar manner to a tape recorder. 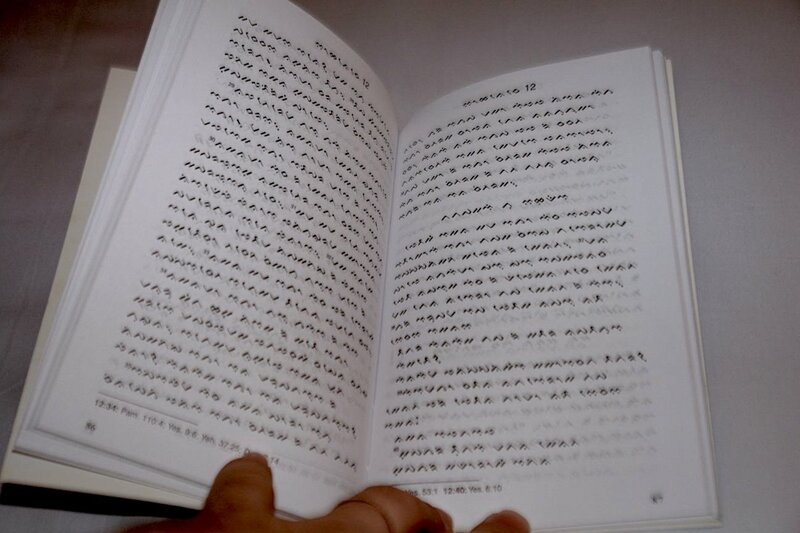 (People who are skilled in writing the script are known as palontara, or “writing specialists.”) The text is then read by scrolling the lontar strip from left to right. 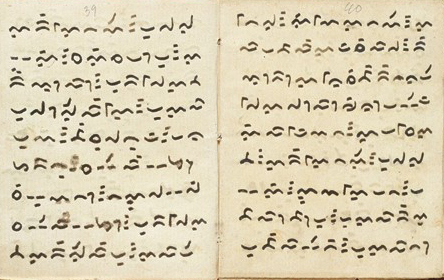 The story of the Lontara script and the Bugis people who use it conceals the story of Colliq Pujie, whose role in Bugis literature is even greater than that of any single figure in English — a fact that is all the more remarkable for her being a woman. Colliq Pujié (or, to give her her full name, Retna Kencana Colliq Pujié Arung Pancana Toa Matinroé ri Tucaé) was the daughter of La Rumpang, King of the Kingdom of Tanete, now the Barru Regency in South Sulawesi. Born in 1812, she grew up at a time when her island was still struggling against the Dutch to achieve autonomy. Her father entrusted her not only with an education but with the running of royal affairs. 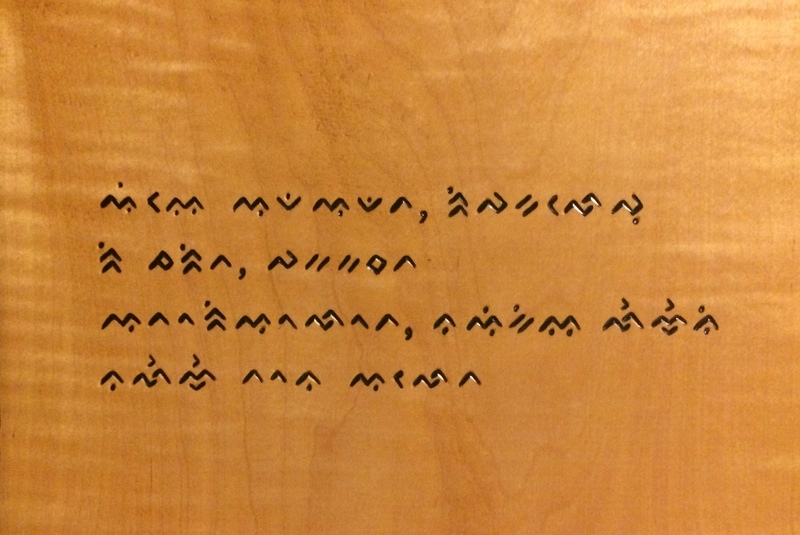 She did so with a possibly unique feat of linguistic subversiveness: in order to communicate in secret with others in the Bugis resistance, she began incorporating bilang-bilang characters into the Bugis script. 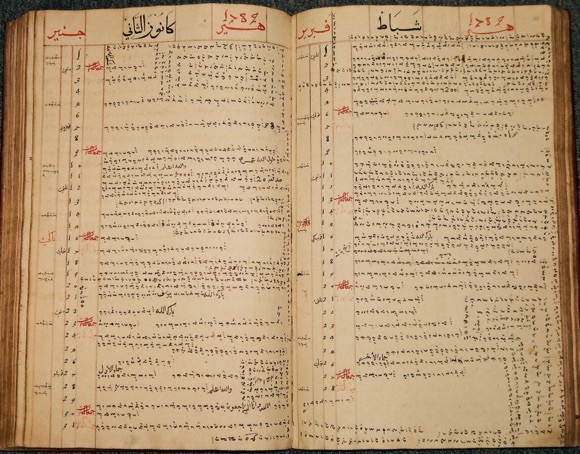 Bilang-bilang–the term means “numbers,” specifically Arabic numbers–was an importation of one of the secret shorthand scripts used by Muslim travelers or the Gujarati merchants of northeast India, which had spread along trade routes into South Asia, Southeast Asia, and Indonesia. 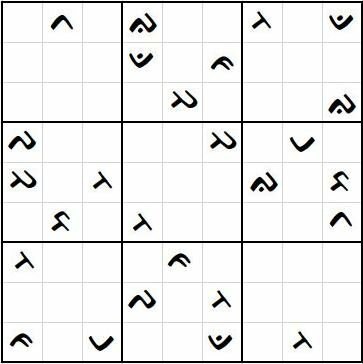 Because these characters were numbers, which were not only incomprehensible to the Dutch but appeared to have no meaning when embedded in a text, they had a fascinating hidden-in-plain-sight quality, and became woven into the Bugis-Makasar script. Linguist, historian, classicist, resistance fighter, editor, poet, diplomat, she eventually died in the process of writing out and editing La Galigo, the great twelve-volume epic poem of Bugis literature, one of the longest epics in the world. Another unusual feature of Lontara script is its sense of direction. Lontara is usually written from left to right, but it has also been written boustrophedonically. 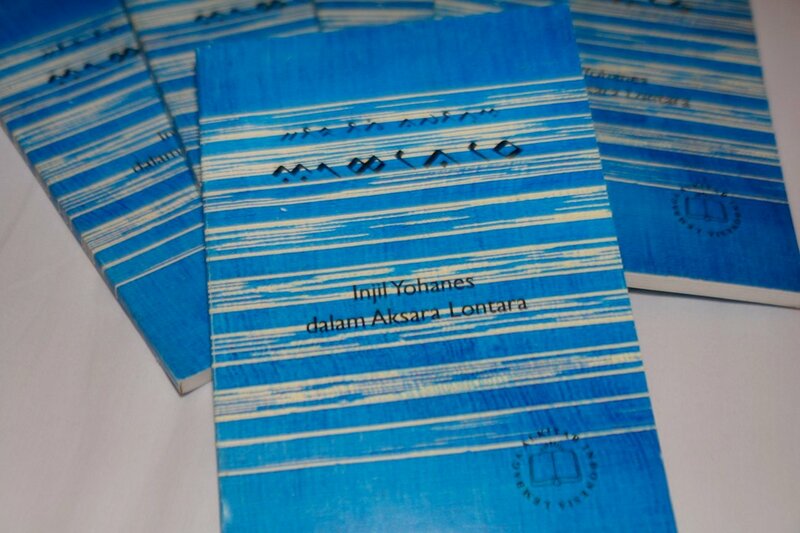 This method is mostly applied in old Buginese journals, in which each page recorded one day. If a scribe ran out of writing space for one day’s log, the continuing line would be written sideways to the page, following a zig-zag pattern until all space was filled. Bugis also illustrates a truth that runs throughout the Endangered Alphabets project — that in representing how we think and talk, words are saturated with common understanding. The absence or loss of a word, then, can literally make an important concept or belief unthinkable. One fascinating feature of Bugi language and culture is that it recognizes five separate genders that are necessary to keep the world in balance and harmony: makkunrai (feminine woman), calabai (feminine man), calalai (masculine female), oroané (masculine man), and bissu (a gender that embodies both male and female energies, and is thus revered as mystical and wise). Lacking those words in English, we find it almost impossible to think like the Buginese. Nowadays Lontara has retreated into familiar corners: it’s used only for printing traditional literature, and for specialized, handwritten items such as wedding documents and personal notes and letters. It can also be seen on some street signs, and a number of Indonesian typographers and graphic designers are bringing it back, to some degree, into the public eye. 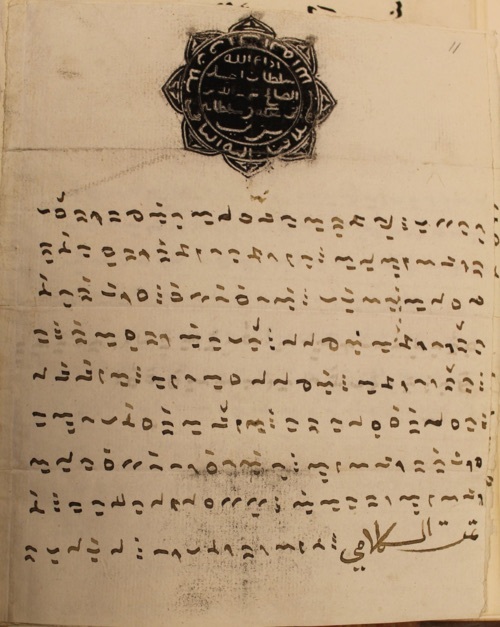 Bugis diary of Sultan Ahmad al-Salih of Bone, showing the entries for January and February 1789. British Library. Lontara carving by Tim Brookes, of the Endangered Alphabets Poem: "These are our words, shaped/By our hands, our tools,/Our history. Lose them/And we lose ourselves." Phonetically rendered from the Bugis, this would be read as "Iyye ada-adata, ripakaleppu ri jarita, pakkakasa' ta atoriolotta, naikiya lennye' ni na lennye' tona aletta."